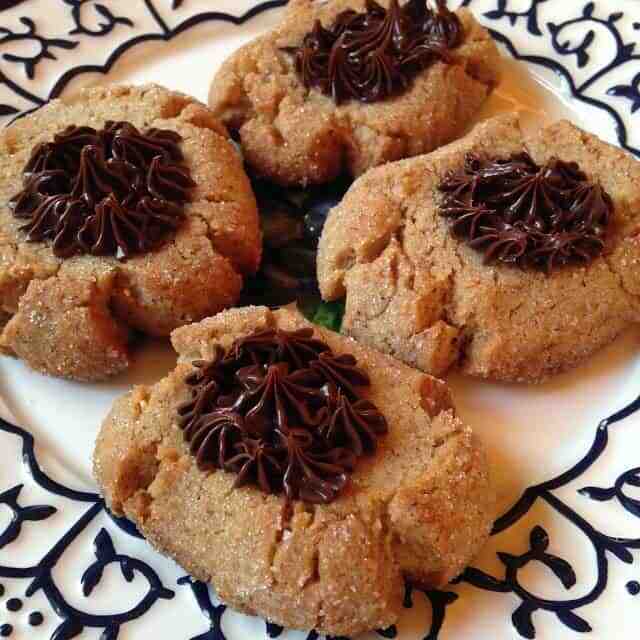 I have made these delicious cookies from the Food Network many times. 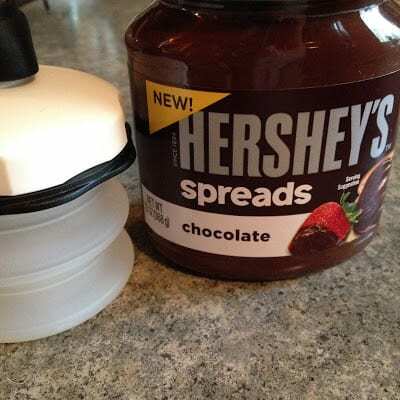 These cookies can be filled with anything you like; jam, lemon curd, orange marmalade or a cream cheese filling but my favorite filling is Hershey’s Chocolate Spread. 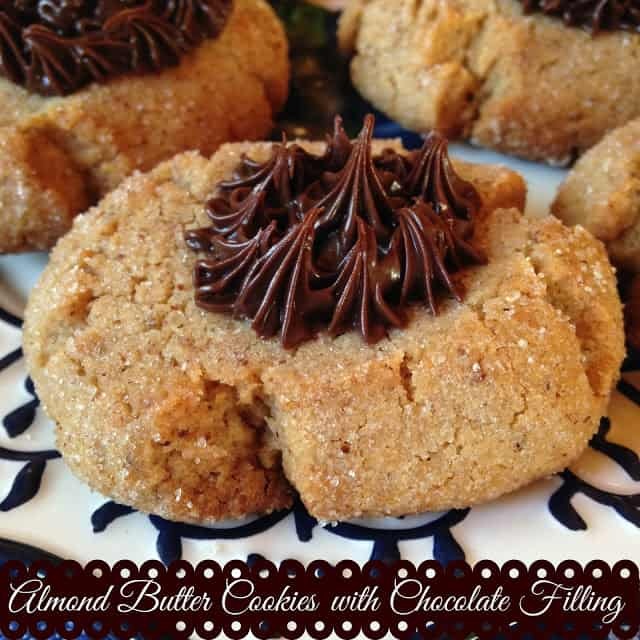 Sprinkle the tops of Almond Butter Thumbprint Cookies with Chocolate Filling with chopped nuts for an extra layer of flavor. Heat oven to 375. Line baking sheet with parchment paper. In a large bowl, combine the butter and almond butter. Beat on medium high until smooth. Add brown sugar and 1/3 cup sugar. Beat for 3 minutes or until light and fluffy. Add egg and vanilla. Beat well. Add the flour mixture to creamed mixture in two batches. Mix well after each addition. Combine the chopped almonds and the remaining 3 tablespoons sugar in a small bowl. Scoop out tablespoons of cookie dough, roll into balls, then dredge in almond-sugar mixture. Space the balls about 2 inches apart on prepared baking sheet. Bake until the cookies appear dry, slightly cracked on the top and golden brown on the bottom, about 10 to 12 minutes. Use the rounded side of a teaspoon to make an indentation in the center of each cookie. Let cool for a few minutes on the baking sheet, then transfer cookies to a wire rack to cool completely. Fill a pastry bag fitted with a medium star tip with chocolate spread. Pipe about 1 teaspoon of spread into the center of each cookie. Serve or refrigerate in an airtight container.